Everywhere you turn you encounter something that is preventing you from becoming the-best-version-of-yourself®. Fostering the flame of goodness that God places within us is not easy. We need to be constantly encouraged and challenged to “live justly, love tenderly, and walk humbly with our God.” Being true to ourselves requires real effort. Last month on my call with The Ambassador’s Club, I spoke about the regrets of people who were dying. High on their list was “I wish I had just been myself more.” I spent a lot of time studying the regrets of dying people while I was writing my new book Resisting Happiness, which will be available later this summer. The courage to be ourselves requires inspiration. In fact, we all have a need to be inspired each day. For many years I have had a dream that we would be able to provide you with 24-hour inspiration. I am delighted to announce that now we can. Dynamic Catholic Radio is born. From now on, anyone, anywhere can have access to 24-hour inspiration. You can listen on your phone. Just download the free app, available on both Apple iTunes and Google Play. Or, you can listen on the web. On behalf of everyone at Dynamic Catholic, I hope you enjoy this 24-hour inspiration. This is my birthday month, and it’s always a time of increased reflection. I ponder questions: Am I walking with God? Have I loved more this year than last year? Am I using my life well or wasting my life? But most of all I am grateful. I was playing tennis with some guys today and someone joked about something and my reply was, “I don’t want anyone else’s life.” I love my life. It is not perfect—nor am I—but I am blessed. There is so much to be grateful for, but high on the list is you. The reader, the listener, the people who have encouraged me along the way so that I can do this work everyday. So thank you for giving me such a wonderful life. I am grateful. PS. We have a few spots left for our Paris/Lourdes trip in August. I am excited to make this trip myself, and I invite you to join me, Father Bob Sherry, Allen Hunt, and other members of the Dynamic Catholic team. For more info, please connect with Evelyn Garcia at Evelyn.Garcia@DynamicCatholic.com. The Mass may be routine, and it may be the common property of millions of Catholics, from all nations, from all social classes, for two thousand years. But it’s not a simple reality. It’s profound. To Catholics nothing is as common as the Mass. It’s ordinary, and it’s routine. It’s the one thing the Church requires us to attend regularly. It’s familiar, a family event. Why do Catholics do what they do? What do these practices mean? The questions occur even to Catholics these days as a new edition of the missal, the book of Mass prayers, is introduced to the English-speaking world. We recite the ancient prayers in slightly different form, and they appear suddenly new to us. The texts used in this book are those approved by the Vatican for the missal whose use is standard as of Advent 2011. The Mass may be routine, and it may be the common property of millions of Catholics, from all nations, from all social classes, for two thousand years. But it’s not a simple reality. It’s profound. It’s rich. It’s thick with symbolism. 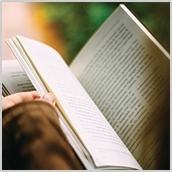 Its theology reaches out to touch the small details of ordinary life, including home and work and leisure. Its vision, meanwhile, stretches as high as heaven, and its power touches the depths of purgatory. Its typical worshippers include a cross section of society, from the wealthiest to the homeless, as well as countless hosts of angels and saints. Its words and postures and gestures have deep historical roots and profound mystical meanings. 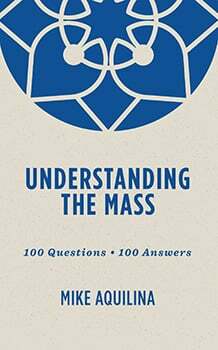 This book answers the most common questions about the Mass—and anticipates dozens of others that are less often heard but fascinating nonetheless. It ranges from the sublime to the silly—at least in the minds of people who are afraid to ask. This book deals with practical and doctrinal questions about the Mass, moving from the basics to the more theological. It describes the various participants in the drama (the clergy, the laity, and God) and the proper “equipment,” so to speak, including vessels and vestments. The final chapter walks through the Mass, step by step, describing the drama of the ritual, the words and the movements. So follow your curiosity and your sense of wonder. If you’re a Catholic, you may be surprised by how much you’ve missed in the Mass or taken for granted. If you’re not Catholic, you’ll get a glimpse of the glory that holds Catholics in thrall, so that even if you can’t embrace it yourself, you can at least understand why Catholics can’t let it go. Allow me to return to two prayer practices of yesteryear that may be worthy to refresh today. The first practice is the custom of saying prayers at the end of each Mass for the conversion of Russia. I believe this was done in every Church in the country, not just in my home parish of Holy Angels in Aurora, IL. We believed our many years of prayers were answered when the U.S.S.R. was broken apart and atheistic Communism was overthrown. The second practice is more personal to me. When I was in fourth grade at Holy Angels School, Sister Elizabeth Claire took me aside one day and asked me to do her a favor. She wanted me to help her with a fervent request she was making of God. She asked me to pray three Hail Marys every day for her intention. I agreed and prayed every day through grade school, high school, college, and four years of theology. And I continued praying for at least the first fifteen years of my priesthood. After those thirty-two years, I figured that, by now, Sister Elizabeth Claire was deceased and her intention must’ve been fulfilled. While I’ll never know for sure what her intention was, I greatly suspected that it was for my vocation to the priesthood and perseverance in the seminary and religious life. 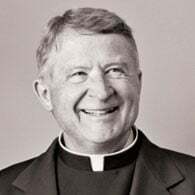 Of the 114 of us who began the first year of high school seminary in 1954, there are only two of us who are still priests today. The first sign of a dynamic Catholic is Prayer—dynamic Catholics have a commitment to daily prayer. While we may offer prayers for vocations, conversion of sinners, an end to terrorist attacks, or any number of intentions, the purpose of daily prayer is to develop a deeply personal relationship with God while becoming the-best-version-of-ourselves and evangelizing others in the process. So the practice of prayer is both old and new. It is ever new. I pray for your intentions daily. Is there something you’re been praying for for a long time? At the beginning of Lent this year, our pastor, Msgr. Tom Richter, gave all parishioners a copy of The Four Signs of a Dynamic Catholic. He hoped it would be a game-changer for us at the Cathedral of the Holy Spirit Church in Bismarck, North Dakota. I did not realize it would soon serve as a vessel of evangelization hundreds of miles away! The day after Ash Wednesday, I read 80 percent of the book on a flight to Omaha, Nebraska, to visit my daughter. During the trip home a few days later, I sat down on the plane and placed the book on my lap, planning to finish it after take-off. Normally I do not visit much with the passengers near me on an airplane, but this time was different. A friendly gentleman sat down next to me and struck up a conversation. My pulse sped as I realized that this was a God-given opportunity for me to evangelize about our dear Lord and his Church—an opportunity for me to practice the fourth sign of a dynamic Catholic! I quickly recalled what I had read on the flight down. I was pleasantly surprised to find that I could tell him all about the book and the four signs without flipping through the chapters. The gentleman shared with me that he was Catholic but had not practiced his faith for many years. Unfortunately, he had found the Church to be very oppressive and unhelpful to him and his family. During our long, open conversation about his experience, I told him how much the Church means to me, how proud and happy I am to be Catholic, and how sorry I was that his encounters with the Church had been so negative. I told him I would pray that his pastor and the members of his parish would be able to make him feel more welcome, and, with Jesus, call him back to the Church. I asked if he ever listened to Catholic radio, especially the apologetics programs. He seemed very interested in re-connecting with Catholicism in that non-threatening way. Eventually, the gentleman turned to me and said he was very touched by our conversation. He thanked me and gave me his card. I told him that I rarely talk with people on an airplane—it was thanks to his inquiry about Matthew Kelly’s book on my lap that we were able to have this conversation. This man’s story and the opportunity I had to give him a positive encounter with the Church moved me deeply. And it all happened because of Dynamic Catholic’s efforts to get this incredible book into the hands of Catholics. I thank Matthew Kelly for writing it, and I thank Msgr. Richter for giving it to me. May God bless Matthew Kelly and the amazing Dynamic Catholic team!